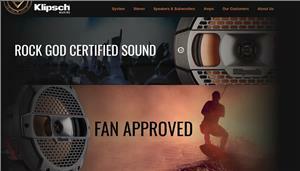 ASA Electronics has launched a brand new website for its Klipsch Marine products. The informational site, KlipschMarine.com, invites boat builders, dealers, and buyers alike to "Rock on Water" with the Klipsch Complete Marine Sound System. Born from a partnership between ASA Electronics, Klipsch Audio, and Bongiovi Acoustic Labs, we've created a system designed to deliver the best possible audio on any boat at all times. The website tells the full story of this partnership in addition to breaking down the technical specifications of our stereo, speakers, subwoofer, and amps. All of these components work together with Bongiovi DPS (Digital Power Station) technology to optimize the sound of your music for your environment. To ensure each component of the sound system is positioned for the best possible performance, the system must be installed at the factory level. 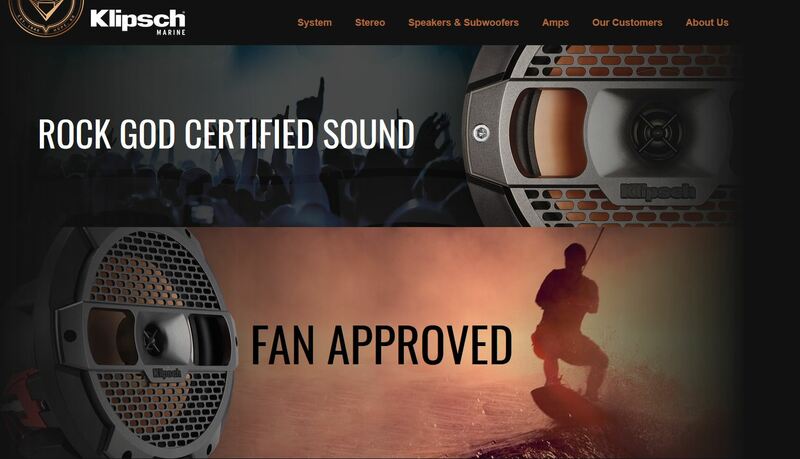 The new website provides a list of boat builders currently offering the Klipsch Complete Marine Sound System.